You can now access my maps directly from Google Drive! Google My Maps allows for students to create custom maps with the option to add multiple layers, location markers, links, and photos embedded right within the map. Each map they create is saved to their Google Drive account and can be shared with others. 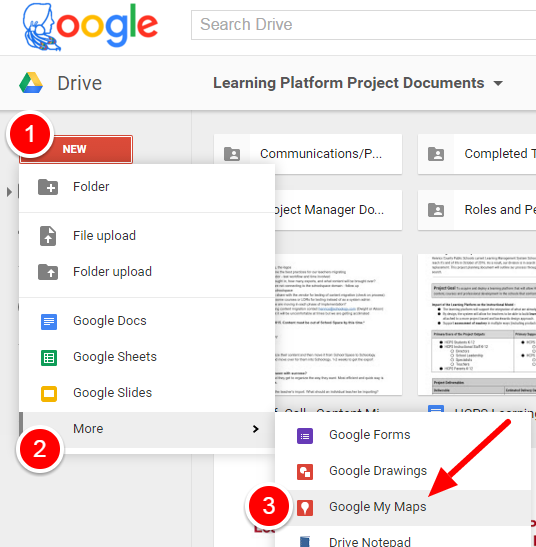 Check out the screen shot below showing the steps how students (and teachers) can access the My Maps feature right from their Google Drive.